Looking for ways to stand out from the crowd? Why don’t you start blogging? Do it well and it could put you ahead of the competition. You do have to be prepared to really delve deep into the subject area you are involved in – or want to get into. The objective is to make a name for yourself and become recognised within your industry. So, what’s next? If your subject is in a media-related field, such as marketing or web design, the benefits from having a prominent online presence are obvious. After all, you are likely to be working on website or social media content in your job too. But, in principle, you can set up a useful website on any kind of topic – technology, culture, politics. 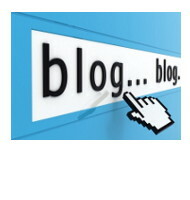 A blog can also allow you to steer your career into a completely new direction. Perhaps you’ve realised that you’d much rather be a photographer or travel writer? Then a dedicated blog or website is your chance to really immerse yourself in the subject and gradually build up your expertise. You do need to feel truly passionate about your chosen subject otherwise boredom or apathy can set it, and writing will become a chore, not a pleasure. If you want to make this work you must be absolutely committed to it. You will need to feel some level of affinity for the medium. If online media are not really your thing, then ask yourself if you are prepared to spend a lot of time on it from now on? But if it’s just the technology that puts you off the idea, then don’t worry: you’ll be surprised how easy to use website builders or blogging platforms like WordPress are. News and social media links. If you are already working in your chosen field, or have a degree in the subject, you can use the background information and knowledge you already have to create the static content of your site. In your blog meanwhile, you can write about your everyday experiences and challenges, or thoughts on issues relevant or topical to your industry. You can also share tips about software or online tools that you are using. In almost any line of work, tips on improving productivity and time management are almost always appreciated! Remember: you should never divulge confidential information about your employer. Keep information anonymous, or, if you need to mention company names, make sure you have cleared this with your employer first. Start thinking about your content early (certainly before you start blogging), as it can take time to build your blog and develop an online following. Before you launch have a number of posts in reserve ready for posting; you don’t want your blog to look sparse. Your next step is to use social media networks. Set up a Twitter profile if you haven’t got one already, and follow people who are influential in your field. Use Twitter to let the world know about your own website and blog. And don’t forget Facebook and LinkedIn. Read other people’s blogs too, and leave useful comments, making sure you link your comments back to your own website or blog. This way people will notice you and find out about your work. This may all seem like a lot of effort. But it’s worth it for the chance of landing a great job. If you’re looking for an example close to home then watch out for next week’s post from Rachel Guthrie, History of Art student, future arts journalist and seasoned blogger. Rachel’s blog has helped sharpen her critic’s eye and elevated her online profile within the arts community. Seems like a winning strategy to me! *Robert Brandl created WebsiteToolTester as a resource to help beginners build their own web presence.